With Black Friday only a week away, I thought it was time I put together a few quick tips on how to get the most out of your money, come November 28. Obviously, the deals are good. That’s the whole reason people stand in line for days. However, as with all deals, they could be better. Not only that, but the shopping could be easier, there could be fewer people, and the deals could actually start on Friday instead of Thursday. I know I know, that’s all wishful thinking. We just have to deal with it (pun not intended) and make the best out of the bad situation. 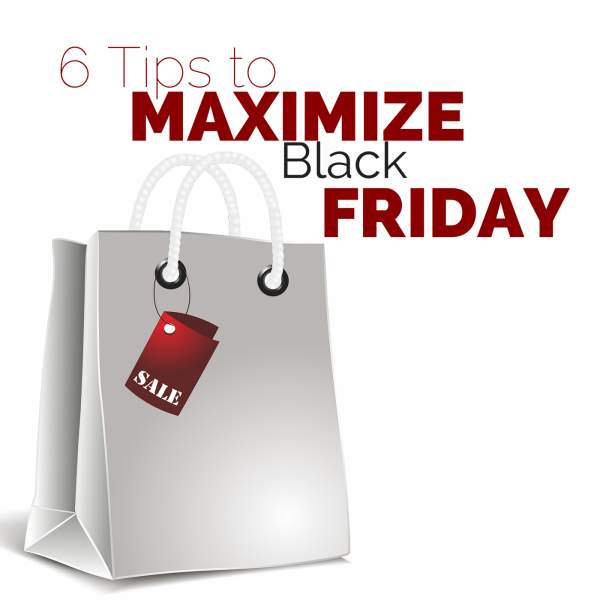 To help you avoid the nonsense that is Black Friday, check out the following tips. You can thank me later. Every year, Black Friday seems to start earlier, the crowds seem to get bigger, and the tramplings seem to grow in number. It’s an annoying and dangerous day to be out shopping, so I wholeheartedly suggest avoiding the chaos. I’m sure you’re screaming, “But, Josh! What about all the great deals! ?” Don’t you worry! There are many other ways to take advantage of all the great Black Friday deals available. For example, you could shop online. Most deals are available online and in-store, so you can still take advantage of the great prices. Alternatively, you could wait it out. More than likely, the deal you want will pop-up at least a few times before the end of December. Have you been to Walmart on Black Friday? It’s a madhouse. No, it’s worse than a madhouse. It’s a sold out Taylor Swift concert – at least I think. I’ve never been to one, but from what I hear their ridiculously packed and full of screaming tweens. Do you want to suffer through that? I didn’t think so. Besides, almost all in-store Black Friday deals are available online anyway. Regardless of whether you’re shopping in-store or online, you should plan ahead. Without planning, you run the risk of missing out on some of the best deals, walking around aimlessly, and buying things that you’ll never use. I use BlackFriday.fm for my Black Friday planning. They make the ads easy to scan through and they have an app that you can bring with you, so you don’t forget about a specific deal. It’s awesome! Using portals is a no-brainer for all online shopping, but it’s worth mentioning over and over, so it gets engraved into your head. I always suggest using CashBackMonitor to find the best portal for whichever retailer you’re shopping at. Never just use the same one or you’ll likely miss out on free money. If you do not have any portal accounts yet, you can sign-up for them through my sign-up links page. Gift card deals are easy to come across thanks to Chime, Amex Offers, GiftCardGranny, and other random promotions. So, there’s really no reason not to buy a few discounted gift cards to maximize your money. At the very least, you could buy a gift card with a 5X card and use it on Black Friday. What does Discover have to do with Black Friday shopping? A lot actually. First, having a Discover card opens the door to the Shop Discover, which is one of the most generous portals out there. Second, Discover earns 5% cash back on online purchases this quarter, which is easily utilized on Black Friday. Finally, Discover has an awesome price protection policy that does include Black Friday prices. Purchase the item before Black Friday or the sale date of the item you want. Make sure that the item you purchase is the exact same as the ad shows. The model number needs to match exactly. Call Discover (1-800-347-0213) and start a Price Protection claim. The Price Protection office is open Monday-Friday 8am-8pm EST and Saturday 8am-12pm EST. They will then send you a claim form via snail mail (it takes a week or so). Fill out the form and send it back (after Black Friday) to Discover with a copy of your receipt and a copy of the sale ad. Wait 2-4 weeks for your check to arrive in the mail, assuming that your claim is approved. As an alternative, you can submit your forms online at cardbenefitcenter.com. You need to start the claim by calling, but once you have a claim number, you can go to that website and submit everything there. The whole process takes about 4-6 weeks, but it’s better than waiting in line on Black Friday. What are the Price Protections limits? You can get up to $500 back per item and $2,500 per card per year. You have 90 days from the day you buy the item to find a lower price and submit the claim. Can I submit the claim before Black Friday? You can start the claim, but don’t mail the completed form until after the sale has happened. Does this work on Door Buster deals? Yes. I called Discover to verify. If you’re worried about them not honoring door busters, I suggest calling them and asking them to send you an email to verify. That way you have proof. Do I have to make the entire purchase with my Discover card? Yes. Do not split the payment with a gift card or any other form of payment. I don’t have a Discover card, can I get one in time? Probably not, but they are offering a great sign-up bonus right now. Say I bought an item for $100 + $5 in tax and found a price for $50 + $3 in tax. How much would I be refunded? $50. They do not Price Protect tax. Do purchases overseas qualify for Price Protection? No. Only purchases in the United States (including Alaska and Hawaii)) qualify. Are there any excluded items? Using Discover is my preferred Black Friday shopping method and I think it will be yours too! If you have any other Black Friday tips that I missed, please leave them in the comments.